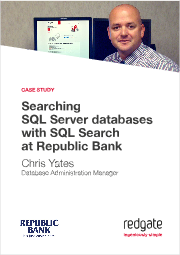 John asked 20 successful and experienced SQL Server professionals this exact question. 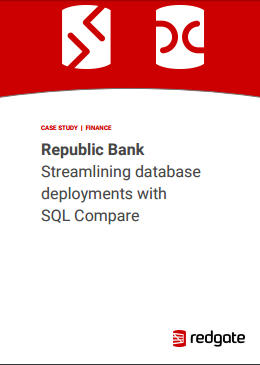 I share my own thoughts with you and you can find all our answers together inside DBA JumpStart, a unique collection of inspiring content just for SQL Server DBAs. 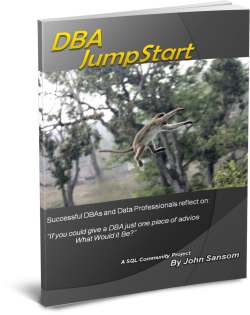 Be sure to get your free copy of DBA JumpStart. Take the time to download and read the copy today; you won’t be disappointed by it and might just learn something new from some of the most renowned data professionals in our field. A good example is database deployments which used to involve writing scripts by hand, which were then reviewed by multiple people. This was hugely time-consuming and error-prone and often meant one person in the team became a bottle-neck for delivery.